Antonio Brown and the Pittsburgh Steelers have come to an agreement that it is now time to move on. This means that Brown will be traded from the team and will move on with his career which has seen some pretty tumultuous times. Honestly, the last month has been pretty tumultuous for Brown, especially since a report came out of an alleged domestic dispute at his home in Florida on January 17th. As reported by TMZ, the alleged dispute occurred after the mother of his child dropped them off at Brown's home. The two were arguing near his front door and that's when Brown allegedly pushed her to the ground. The woman reported the incident to the cops but changed her mind and tried to cancel the report. When the cops wouldn't do that, she became uncooperative and hasn't pursued any further legal action. Police took photos of the alleged victim's arm which had what they described as "an abrasion with some scabbing." 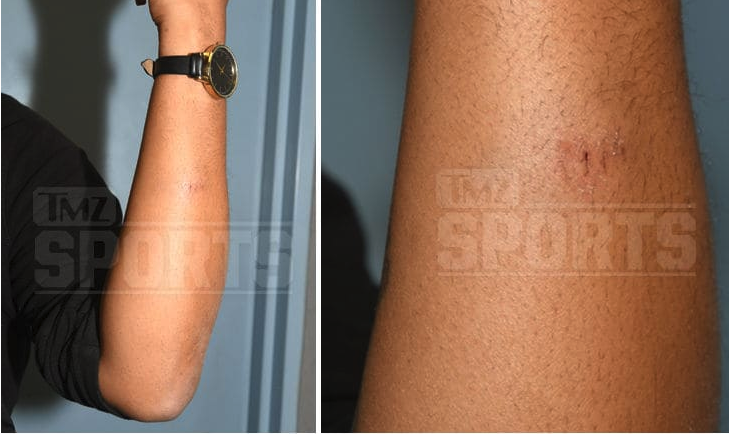 TMZ Sports was able to obtain photos of the woman's arm. Brown and his lawyer have already vehemently denied the accusations and Brown is currently looking to try and win primary custody of his child since he believes the woman is an unfit parent. Stay tuned for any updates on this situation.